What follows is a statement from the US Pirate Party’s leadership on the decision by Professor Lawrence Lessig to withdraw his candidacy. The US Pirate Party expresses our disappointment with the decision by the Democratic National Committee to change the rules of their debate admittance to avoid having to face tough questions about the decrepit state of the ‘Democracy’ in the United States. Much claim has been made around the world about the US and its democracy, but in recent years, it has been shown as a lie, as open and honest democracy has been perverted by hidden money, slanderous attacks, and lashing out at the media when it attempts to do its job of bringing some clarity and factual awareness. Professor Lessig has campaigned on the fact that this institutionalized corruption of the US election system was not in any way democratic, and has become a bigger threat to the US than any terrorist group, drug trafficking or religious extremism ever could be. Rather than allow Prof. Lessig’s message be heard, the Democratic National Committee has shown that this is a problem that the Democrats are as keen to keep as is, like the Republicans are. The US Pirate Party would love to be able to offer ballot space to Professor Lessig to run as a Pirate candidate, but currently, we unable to do that either. We are unable to do that because the means for getting party registration and ballot access (as well as keeping it) is deliberately made as difficult as possible. We have 50 sets of rules to follow, one for each of the 50 different states, for ballot access, and most are deliberately made difficult to fulfill. In most states, if you then don’t reach some arbitrary goal, be it signatures numbering in the thousands, expenditure limits, or votes won, your party is de-registered and you have to undergo the entire process again. It’s not that a democracy can’t handle multiple parties; in fact, democracy flourishes in direct proportion to the number of parties. It just makes it easier for those in charge of ballot access – usually a partisan elected position such as Secretary of State or Lt. Governor – to restrict the number of parties to reduce any potential threat to their own political well-being. That’s not democracy, that’s outright anti-democratic, the very antithesis of what democratic discourse should be. It has been a little over 9 years since the US Pirate Party was initially formed, and in that time we have only managed to gain recognition in a handful of states. Elsewhere around the world, no Pirate Party has had the levels of difficulty as we in the US have in getting and staying registered as a political party, be in it Russia, South America, or Africa. At the end of the day, it seriously brings into question any idea of the US having a democratically elected government; when partisan officials place such roadblocks against political participation to protect their own job security, that is the hallmark of a banana republic. That is what the US is steadily becoming. We will not stand to let the corrupt career politicians have their way, lining their pockets with ill-gotten gains from lobbyists and corporations that look to infringe on our rights as Americans and humans. We will fight, no matter what it takes, to bring and maintain a true democracy in the United States. Note for Editors, Mr Norton also co-edited the book No Safe Harbor, which featured a chapter written by Professor Lessig. 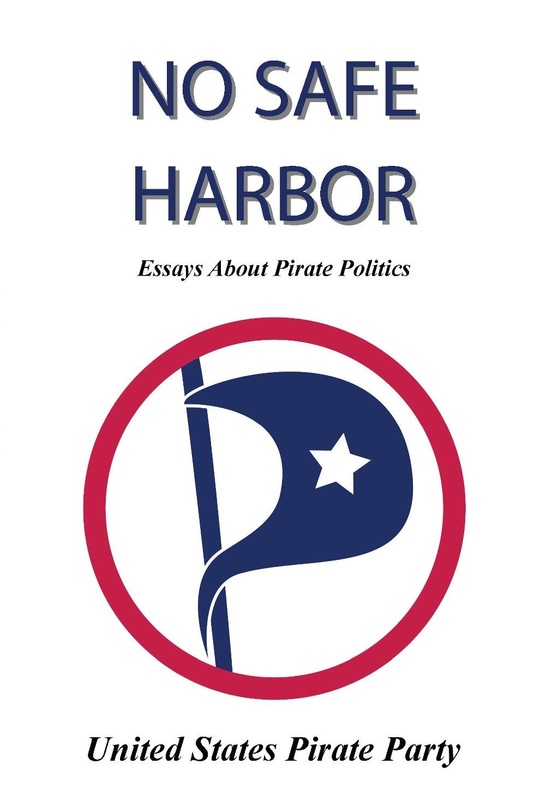 eBook copies can be downloaded from NoSafeHarbor.com and print editions can be bought from Amazon. Publiced at November 2, 2015 by Andrew Norton in Announcements, Press Release, tagged 2016, lessig, presidential election. I will support this party. I’m sorry I came late. I’ve been trying to register in New York (Tompkins County) for the last year as a Pirate and the officials are always losing something or need this or that. But still at the end of the day I’m still unable to register. I registered as a Democrat or as a Republican no problem.